Gianfanco Comincioli with his ultragreen oil from the Lake Garda area. Photo by Robert Camuto. 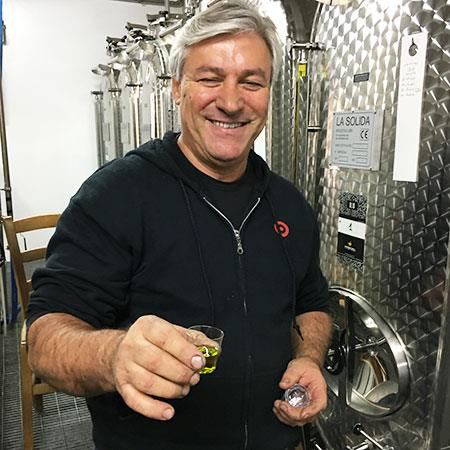 A Northern Italian winemaker leads the movement to make oil from pitted olives. An interesting concept - and a great article on the obsessive passion of EVOO producers. As the price of energy rises, pumping and pipeline system inefficiencies increase the cost of irrigation operations. Two courses being offered by River Murray Training enable irrigators to identify potential energy savings in pumping and pump station design. The courses are delivered by Tallemenco’s Rob Welke, a 49-year veteran of the irrigation and water supply industry. Training is delivered as two-hour sessions in a fully-interactive online meeting room and follow up tutorials. Courses commence 27 February 2018. Book now with Barb McPherson (RMT): 0417 824 442 or barb.mcpherson@r-m-t.com.au; or Rob Welke: 0414 492 256 or rob@talle.biz. ﻿Check out the new listings now! 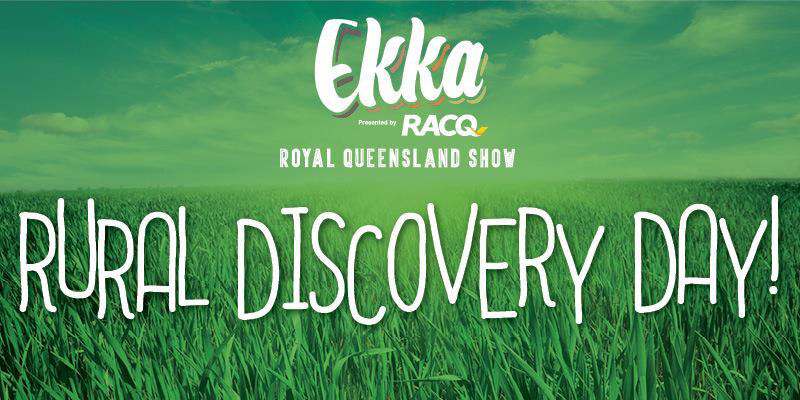 Olive growers are invited to help educate the next generation on the role agriculture plays in their everyday lives, by exhibiting for free at the Royal Queensland Show's (Ekka) Rural Discovery Day. Being held on Thursday, 24 May, the event teaches city children that food comes from farms, not the supermarket shelf. There is no cost for exhibitor space and the event provides a unique opportunity for brand exposure, with more than 1,000 Brisbane primary school students taking part. More information and expressions of interest here. We’re now well into 2018 with Friday Olive Extracts (FOE), bringing all the latest industry news and events to your Inbox every week. THE place to share olive industry news, event details and reminders, the weekly format introduced in 2017 has made our industry e-newsletter even more popular, and we now have nearly 4000 subscribers across the globe. If you’re not one of them, you can sign up here. One of the most important aspects of food business operation is being fully prepared for a product recall. Having policies and procedures in place is one thing, executing them is another. Food South Australia is presenting a comprehensive workshop on the steps necessary to develop a program to evaluate and test recall policies and procedures. Participants will learn to evaluate the who, what, where, when and why of recalls and how a properly handled recall not only effectively protects the consumer, but also benefits a company’s public image. The workshop is being held on Wednesday, 14 March from 8.45am-12 noon at the University of Adelaide Waite Campus, Urrbrae. Cost is $75pp (incl gst) for Food South Australia members, $125 for non-members. Register here. Entry Fees are $39 for oil classes; $29 for table olive, tapenade and spread classes $29. Table olives, tapenades and spreads also need testing at $20/test. For further details contact Chief Steward Alan Smith at treasurer@hunterolives.asn.au or ph: 0419 255 949. We’ll bring you more details in Friday Olive Extracts as they are announced. There’s still time to enter the 2018 Royal Adelaide Table Olive Awards, which this year saw a change of timing to February judging. The new timing is in consideration of late ripening and processing timeframes, and allows producers to enter their fresh new season’s products. Entries close on 28 February. For more information, or to register your entry, email OSA President Michael Johnston at mjandrj@johnstons.net.au or Michelle Wirthensohn at michelle.wirthensohn@adelaide.edu.au. 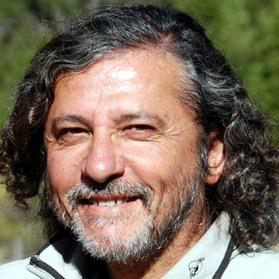 Olives New Zealand has announced that the Head Judge for the 2018 NZ EVOO Awards is Esteban Santipolio, an Argentinian industry expert and international olive oil judge. Santipolio is manager of the CIASA, an agricultural consultancy developing horticultural projects internationally, including olive businesses. Estaban’s judging roles have included Argoliva (Argentina) since 2011, the New York International Olive Oil Competition since 2014 and Sudoliva (South America) since 2017. 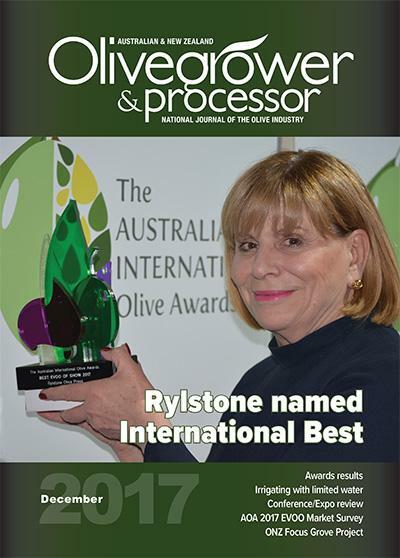 You’ll find more on the judging panel and competition in the March edition of Australian & New Zealand Olivegrower & Processor. Not a subscriber – or need to renew? You can do so here. Don’t miss these opportunities to learn from the results of this highly successful grove management project: register your attendance with EO Gayle Sheridan at admin@olivesnz.org.nz. You can read more about the Focus Grove Project here. 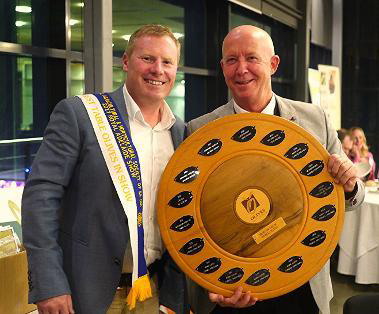 National business publication Business Central recently ran a two page article on the NZ EVOO Awards, and Champion of Show winners Loopline Olives. It’s great promotion of the awards and New Zealand’s dedicated producers. Read it at pages 72-73 here. And don’t miss our feature article on Loopline Olives in the coming March edition of Australian & New Zealand Olivegrower & Processor. The Chinese appetite for olive oil has led to an increase in exports from Italy, but competition from Tunisia and the domestic market could see this trend reverse. 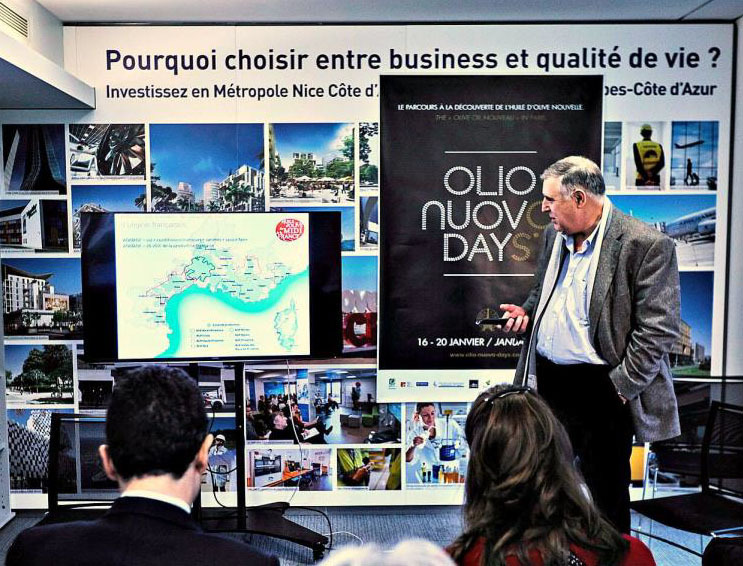 Oliver Nasles presenting ‘Black Fruity’ oils at Olio Nuovo Days. The French association Afidol shed light on the misinterpreted taste of "black fruity" oil and the controversy behind the ancestral tradition of controlled fermentation. Spanish olive oil producers are calling on local and national authorities to allow the sector to self-regulate. The move would allow producers to sell their oil at specific moments in order to ensure the stability of the olive oil supply and prices on the market. A Harvard professor urges firefighters in America to turn to a Mediterranean style of eating to avoid on-duty heart attacks. One of the key elements of the intervention program is, of course, olive oil. Just five years ago, a group of neighboring farmers in Sierra de Cazorla, Spain decided to work together and produce high-quality olive oil with respect for the environment. Last month, their Dehesa de la Sabina earned the industry's top award. As the UK organic sector hits a record value of £2.2 billion (€2.47bn), what's the secret to its success? Six trends are influencing our food choices today - and organic fits into all of them, says the Soil Association. Interestingly, so does EVOO, so organic EVOO must be right up there.